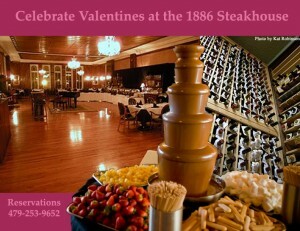 One way not to miss Valentine’s Day is to Celebrate Early! 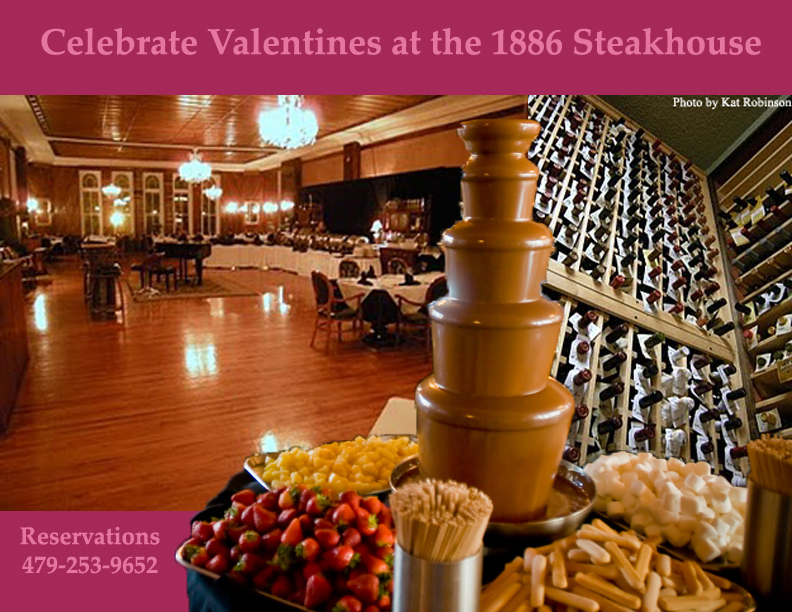 Stay 2 nights, enjoy a dinner for two in the Crystal Ballroom ($75) and experience our Sunday Brunch for two. Starts at $275 plus tax. 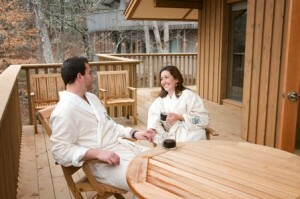 Valid Friday & Saturday, 1/31-2/1, 2/7 & 2/8.Check Availability. 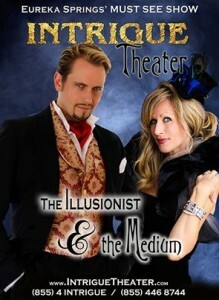 After dinner, be entertained with illusion and mystery during Intrigue Theater’s Valentines Weekend Show. February 8th, 14th and 15th. If you have a sweet tooth, The 10th Annual Chocolate Lover’s Festival in Eureka Springs, is on Saturday, February 15th at the Inn of the Ozarks. 9am-3pm, Tickets $12 adult and $6 for children under 6. Purchase Tickets here. 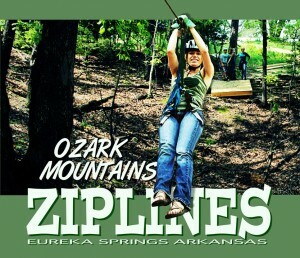 9Saturday, February 15th, 2014 from 9:00 A.M. to 3:00 P.M.
207 W. Van Buren, Eureka Springs, Arkansas 72632.